Dual Drive Bike 003 | Dual Drive Bike Co....we put fitness up front! February 5, 2013 2592 × 3888 Starting a new Dual Drive bike business! Your old foot powered bikes are a thing of the past! Front wheel drive…early stages, The plan is to run the drive shaft down the front fork! The dual crown front fork set up will work well for the dual drive fitness bike. Note: the Quickstand bike trainer, is one of my products that I have produced. Dual Drive Bicycle taking shape. It works! 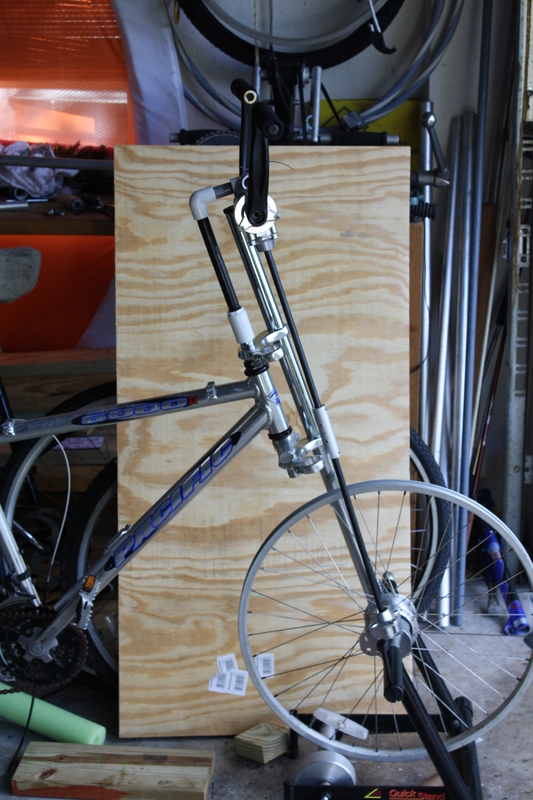 I took the dynamic bicycle drive shaft and extended the shafts length and attached everything to the front wheel.